Exciting announcement! Lee Brice, Parmalee & A Thousand Horses is coming to Stage AE on Friday 15th September 2017! That's right, it's time to catch Lee Brice, Parmalee & A Thousand Horses LIVE so be sure to book your tickets as they are bound to sell out! 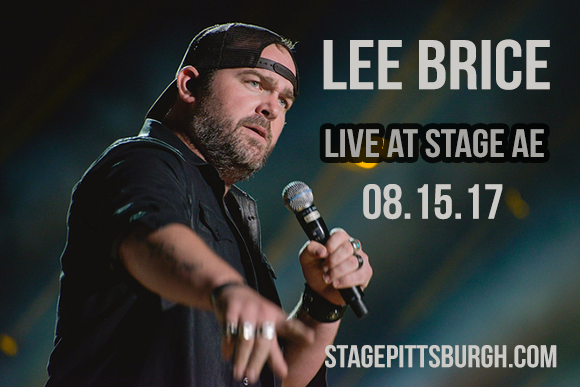 This the one not to be missed if you love Country music… the superstar, Lee Brice, will be no doubt rocking the stage! The American singer, songwriter, Lee Brice has been taking over the world with his major selling albums since his very first debut. Signed to Curb Records, the Award winning, Lee Brice has a total of three records out for his fans to enjoy. With chart topping hits such as; "A Woman Like You", "Hard to Love", "I Drive Your Truck", and "I Don't Dance, "Love Like Crazy", "Parking Lot Party", "Drinking Class", and "That Don't Sound Like You." "Love Like Crazy" and so many more!! As well as a star in his own right, his has also written many groundbreaking anthems for fellow artists such as; Garth Brooks, Eli Young and Tim McGraw! He is the continued one to watch and will leave you blown away at any one of his live shows! Don't miss him if you can!